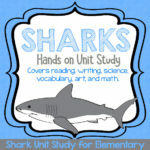 I love introducing my kids to new science concepts and words. Reading Zoey and Sassafras is a great way to find those concepts and learn about them in a meaningful way. Sometimes we need a bit of extra reinforcement to remember the new words, which is why I wanted to make these crosswords and word searches! They enjoy learning about the new concepts. But the best part of Zoey and Sassafras is that the books explain the concepts in such a way that it’s easy to understand! My kids don’t even realize they’re learning half the time! 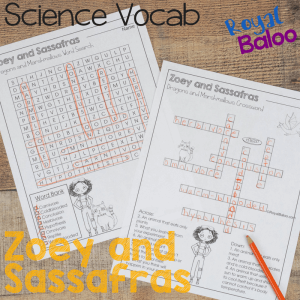 These two puzzles contain science vocabulary from the first Zoey and Sassafras book. I hope to make more for the rest of the series. There are new concepts in each book so I want to make sure to cover them all! Royal is 8 and absolutely loves these books. They are the set that he devours the moment the books show up at the door. I love that he’s encountering new science vocabulary in ways that he totally comprehends! There are 2 puzzles in this set. The first is a word search and just features the vocabulary. And there are also pictures of Zoey, Sassafras, and Marshmallow the Dragon to color! The words featured are only vertical and horizontal, not diagonal, backward, or upside down. The second puzzle is a crossword. This one involves understanding the definition and not just finding the word. I like to use crosswords to see if they’ve truly understood the vocabulary (and also because crossword puzzles are awesome). Click here to download the Zoey and Sassafras Printables!